Four snowmen designs - one for each season. 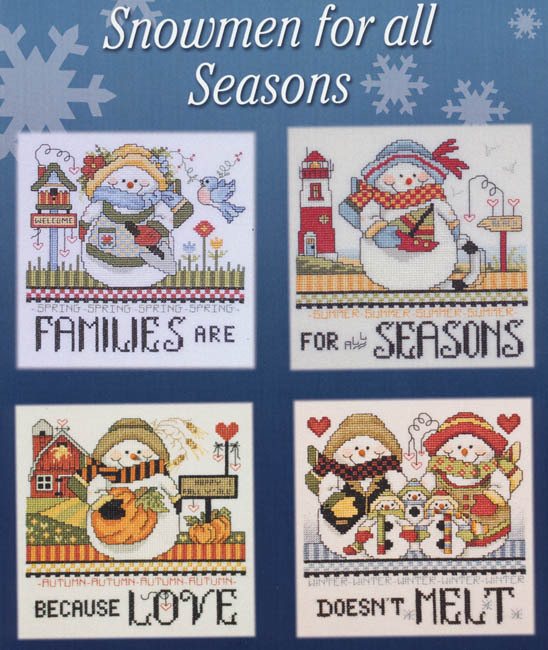 When stitched together they say "Families are for all Seasons because Love doesn't Melt". Count of each is 90 x 90. Models stitch ed on 28 count antique white Jobelan.